The name Invicus is inspired by the homonymous poetry of the English poet William Ernest Henley. 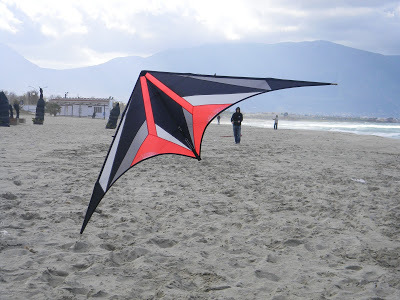 This kite follows the philosophy of kites like the Cosmic TC, the TNT and the Black Pearl, that is designed entirely for freestyle both fun and competition, in addition, the wide wingspan and the long spine, give it a good accuracy, which for the more experienced pilots, it can turn into a nice challenge to enter with this kite in the arena of the STACK competitions. Unlike the aforementioned acro, I tried to give the Invictus greater stability and elegance in the tricks and make it more manageable and less technical for novice pilots. You can find the plan files here.